This edition of Amsterdam Fashion Week we focus at designers and their biggest supporters: their family. Where would they be without their mom, dad, brother(s), sister(s)and or grandma’s? They help finishing their designs, they drive the car, they cheer them up and cry emotional tears. 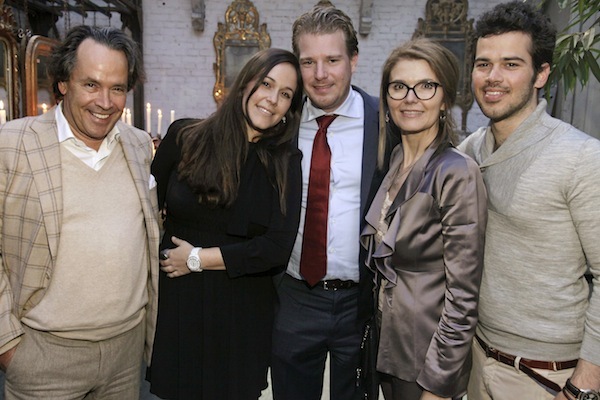 The next family we would like to present is Alexia van Engelen, owner and designer of Sage & Ivy, and her lovely and proud parents Gudrun and Evert, brother Evert-jr and her partner Willem. Bellissima Famiglia … Complimenti !